Whether you still need to do your Christmas shopping or are already planning your next holiday, if you're in the market for a new credit card, charging everyday purchases to the right card can unlock a hefty bonus of up to 120,000 Qantas Points – enough for a return business class flight to Asia! Better yet, many of the cards with the highest sign-up bonuses are also among the most rewarding for earning points on everyday spends as you continue to use the card year-round, so without delay, here are the top personal credit card deals to know about from American Express, ANZ, Bank of Melbourne, BankSA, Citibank, NAB, Qantas Money, St.George and Westpac this December. Tipping the scales with up to 120,000 bonus Qantas Points, the American Express Westpac Altitude Black Bundle – pairing a Westpac Altitude Black Mastercard with an American Express Westpac Altitude Black Card – and separately, the ANZ Frequent Flyer Black Visa, which also provides $150 back to your card and 75 bonus Qantas Status Credits for eligible new customers. With Westpac, that serving of bonus points comes in two packages: one being 80,000 bonus Qantas Points when you apply for the Black bundle by April 2 2019 and spend $3,000 on eligible purchases within 90 days of card approval using the Altitude Black Mastercard (issued and serviced by Westpac). Alongside that, you could also take home 40,000 bonus Qantas Points when spending $3,000 on eligible purchases within the same 90-day period using the American Express Westpac Altitude Black Card (issued and serviced by American Express), which also generates 1.25 Qantas Points per $1 spent on most everyday purchases in Australia, uncapped. Bank disclaimer: "Westpac credit cards issued following applications started on or after 1 March 2019 will be Mastercard branded." 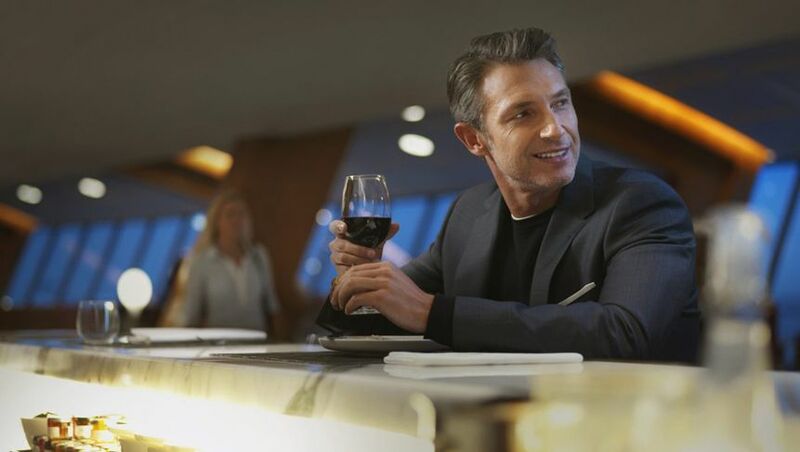 Or, look to ANZ's Frequent Flyer Black Visa to earn 120,000 bonus Qantas Points, plus $150 back on your card, when you apply by March 31 2019 spend $7,500 on eligible purchases in the first three months. On top of that, you could also grab 75 bonus Qantas Status Credits when you apply by the same date and book and travel on two new Qantas flights by June 30 2019. Spending on ANZ's Visa provides one Qantas Point per $1 spent on everyday purchases (up to and including $7,500 per month, 0.5/$1 thereafter), with a total annual fee of $425: although the true 'cost' of this is just $275 in the first year, when you factor in the $150 statement credit after spending $7,500 on eligible purchases in the first three months. Taking out second place with an offer of up to 100,000 bonus Qantas Points, the Qantas Premier Platinum Mastercard, which also comes with a halved annual fee in the first year ($149 vs. $299). However, this offer comes with a catch – you won't earn 100,000 bonus points up-front, or even in the first year: instead, the first serving comes as 70,000 bonus Qantas Points when you apply by February 28 2019 and spend $3,500 within the first 90 days of card approval. To receive the remaining 30,000 bonus Qantas Points, you'll need to keep the card for a year and pay a second annual fee ($299), with those final points landing in your account within 12 weeks of the card's anniversary date, being about 15 months after your initial application. Given it has a strong domestic earning rate of one Qantas Point per $1 spent up to $10,000 per statement period (0.5/$1 thereafter) and 1.5 Qantas Points per A$1 spent in foreign currencies, that shouldn't prove much of an issue, but is something to keep in mind if you were counting on having all those bonus points sooner, to put towards your flight booking or upgrade. Close behind with an offer of 90,000 bonus Qantas Points, the NAB Qantas Rewards Signature Card also comes with a reduced annual fee of $295 in the first year, reverting to $395 thereafter. Eligible new customers could earn those bonus points, which are credited directly to your Qantas Frequent Flyer account, by spending $4,000 on everyday purchases within 60 days of account opening. Everyday purchases generate one Qantas Point per $1 spent up to $5,000 per month; then 0.5/$1 on spends of $5,001-$20,000, and no points thereafter until the next monthly statement period, excluding ATO payments, which don't earn points at any time. With separate offers of 80,000 bonus Qantas Points this month, the St.George Amplify Signature Visa with Qantas Points, the standalone Westpac's Altitude Black Mastercard, and the AMEX Platinum Charge Card – here's what you need to know about each deal. St.George: apply for the Amplify Signature with Qantas Points card by March 22 2019, pay a reduced annual fee of $179 in the first year (normally $279) and spend $4,000 on purchases within 90 days of card approval, while also earning 0.75 Qantas Points per $1 spent on everyday purchases, plus a 10% 'birthday bonus' awarded in the month of your special day, taking that to 0.825 Qantas Points per $1 spent. You'll also find this bonus offer on the near-identical Bank of Melbourne Amplify Signature Visa with Qantas Points and the BankSA Amplify Signature Visa with Qantas Points credit cards – which, like St. George, are backed by Westpac Group. Eligible purchases provide 0.75 Qantas Points per $1 spent, excluding ATO payments. American Express: Apply for the AMEX Platinum Charge Card, pay a $1,450 annual fee and spend $3,000 on purchases within the first three months to pocket 80,000 bonus Membership Rewards Ascent Premium points, and between 0.5 and 3 points per $1 spent on the card depending on each transaction, all of which can currently be converted into Qantas Points at a 1:1 rate. 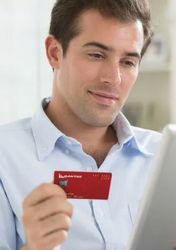 From the same date, the conversion rate from Membership Rewards to Qantas Frequent Flyer is also changing from 1:1 to 2:1, so while the 1.125/$1 earning rate we've indicated takes the card's new earning and conversion rates into account, any existing points in your account on that date will lose 50% of their value if not converted prior. Next in line with offers of up to 75,000 bonus Qantas Points, ANZ's Frequent Flyer Platinum Visa, and separately, the American Express Westpac Altitude Platinum Bundle. Apply for ANZ's card and you could net those bonus points – plus $75 back on your statement, reducing the sting of the $295 annual fee to $220 in the first year – by spending $5,000 on eligible purchases in the first three months, with the card having an 'everyday' earn of 0.75 Qantas Points per $1 spent on eligible purchases up to and including $3,000 per monthly statement period (0.5/$1 thereafter). With Westpac, its Platinum-grade bundle deal mirrors the Altitude Black Bundle by splitting your bonus points into two distinct amounts: firstly, with 60,000 bonus Qantas Points for new customers who apply for the American Express Westpac Altitude Platinum Bundle by April 2 2019, and spend $3,000 on eligible purchases within 90 days of card approval using the Altitude Platinum Visa (issued and serviced by Westpac). In addition, you could earn 15,000 bonus Qantas Points after spending $3,000 on eligible purchases within 90 days of card approval using the using the American Express Westpac Altitude Platinum Card (issued and serviced by American Express), for a grand total of up to 75,000 bonus Qantas Points, as one card application (lodged by April 2 2019) can cover both the American Express card and the Visa. Also as with Westpac's Black-level cards, there's a $50/year Qantas Rewards fee to be paid when earning Qantas Points, although the usual $150 annual fee on the Altitude Platinum Visa is currently waived in the first year (a $49 annual fee applies on the American Express card from the first year). Finally this December, the Citi Prestige Qantas credit card is offering a similar 70,000 bonus Qantas Points for eligible new customers who apply and make a purchase on the card once within 90 days of approval. While on the pricier side at $700/year – plus a $49/year charge to participate in the Citi Qantas Rewards Program – it does allow you to earn 1.5 Qantas Points per $1 spent on all eligible international purchases, and at major restaurants, hotel chains, airlines (flights only), travel agencies and travel aggregators in Australia. You can also earn one Qantas Point per $1 spent at major petrol outlets, supermarkets and national retailers in Australia, and 0.5 Qantas Points per $1 spent on all other eligible purchases in Australia, with some exclusions like government and government-related transactions which award no points (such as payments to the ATO).